During the first meeting of the TARINA Consortium in New Delhi from the 14th-16th of December 2015, partner organizations gathered to jointly agree on areas of intervention, research and activities that will be carried out under the project’s Results Framework. 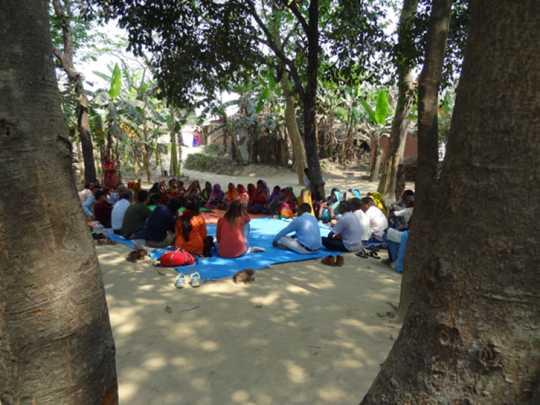 Opportunities for integrating nutrition-sensitive objectives, actions and metrics into agricultural and rural development initiatives led by NGO partners – BAIF, CARE and Grameen Development Services (GDS) – in Bihar, Odisha and Uttar Pradesh, respectively, were discussed. However, the consortium determined that a rapid assessment of the food systems context in each location would need to be undertaken before interventions best suited for addressing local nutritional challenges could be properly designed and implemented. In response to this decision, the consortium launched a Food Systems Diagnostic Study (FSDS) across the three project locations, from February to early March 2016. 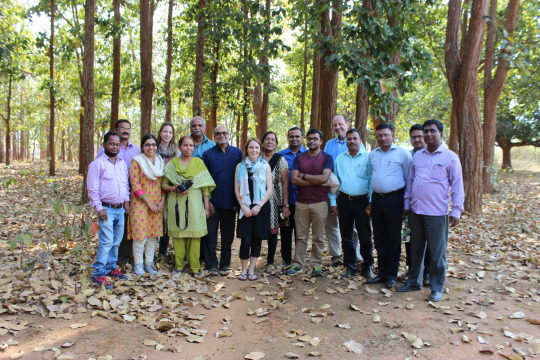 The objective was to identify aspects of field settings that may constrain or facilitate the project’s overall goal of creating a more nutrition-sensitive food system in India. Findings from the FSDS will support efforts to refocus agricultural projects and programs for better nutrition outcomes and to sharpen data collection for monitoring and evaluating project outcomes. The FSDS was carried out over the course of four to five days in each project location. A total of eight or more team members from TCI, BAIF, CARE and GDS were present at each location. 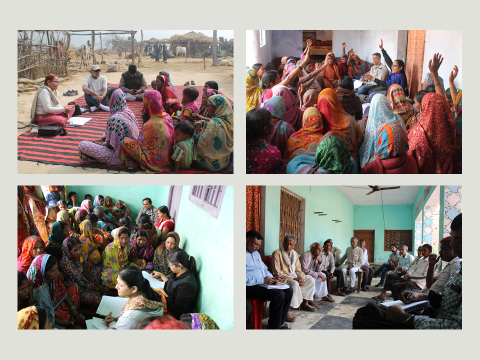 Two villages were visited per day, where FGDs were carried out using the guiding questions. Individual informant interviews were also conducted at the village level, but on an ad hoc basis. 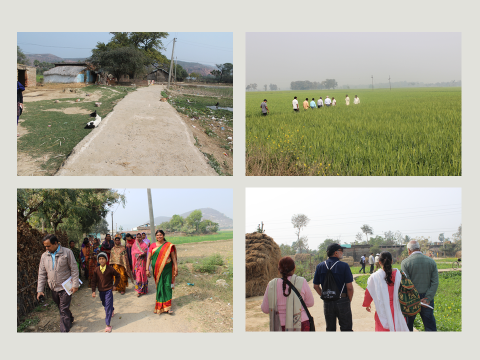 In each village, the FSDS team completed a transect walk to document observations related to agricultural production, animal husbandry, food storage and WASH practices. Additionally, the team visited local and regional food markets, as well as field sites where existing agricultural and rural development initiatives are being implemented by NGO partners or other local organizations. The recording and summation of data collected took place at the end of each day. This was typically followed by an FSDS team consultative meeting, where general impressions from site visits were shared and interventions were devised according to the objectives and expected outcomes of TARINA. This consultative process served as a platform for inter-organizational knowledge and expertise sharing, which enabled the identification of opportunities for cross-fertilization between partners and across locations. The primary outcome of the FSDS is a set of priority interventions for refocusing projects and programs implemented by NGO partners. 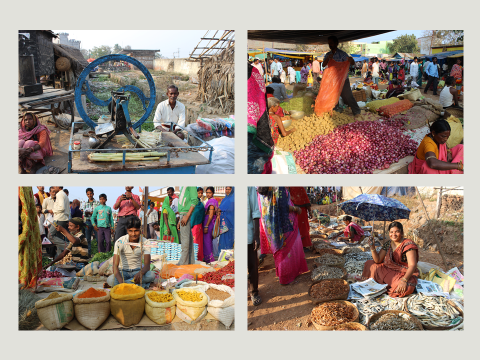 Each intervention takes into account the local context and was designed to either alleviate factors that may constrain or maximize factors that may facilitate TARINA’s overall goal of creating a more nutrition-sensitive food system in India. FSDS findings are also being used to develop indicators and metrics for monitoring and evaluating the impact of planned interventions. A baseline survey will be rolled out across the three project locations in November and December 2016 to track project-level outcomes. This will be followed by baseline surveys in each project location, which will be designed to track outcomes of specific interventions implemented by each NGO partner.